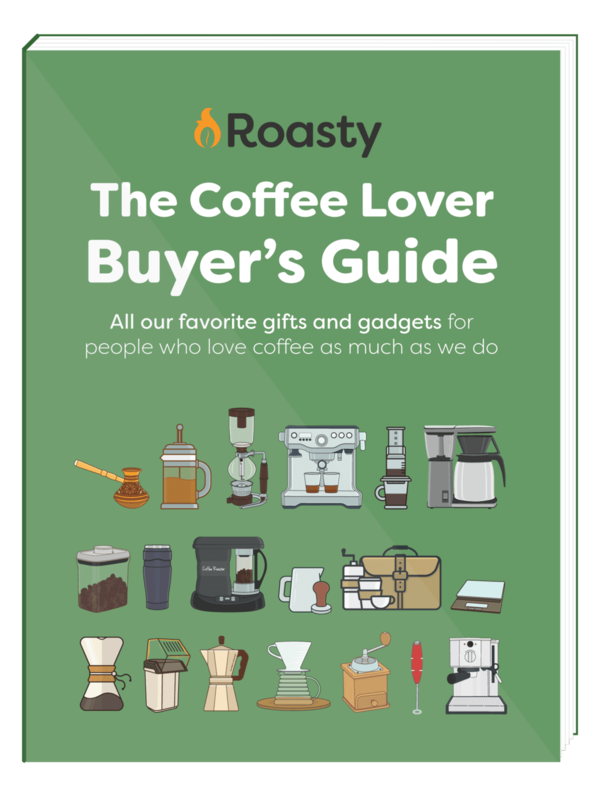 Download our FREE guide to every coffee product we absolutely love. Just enter your email address to download the guide today! Here at Roasty, we believe that travel is no excuse to deprive yourself of great coffee. 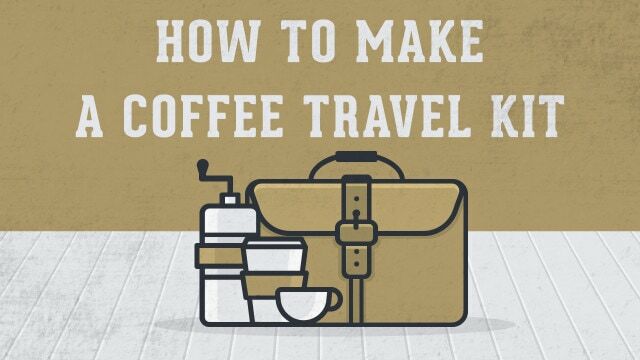 Roam if you want to, but a few key items that fit easily into a suitcase can make the difference between coffee and whatever that stuff at the motel is. No time or equipment for precise temperature measurements here, so just boil it, or run it through a standard hotel coffee maker. Grind the beans (A fine grind setting is best for an AeroPress) so you have enough for 2 tablespoons of coffee or about 30 grams. To make things simple, I just fill my 24-gram grinder, which makes a perfect amount for a 20 oz tumbler. Put a paper filter in the drain cap and rinse it with hot water. Then put the cap on the AeroPress and place it over your cup (it needs to be a sturdy one, hence my preference for the Yeti). When the water’s ready, put the coffee in the AeroPress, pour the water over, and give it a quick stir. Wait 30 seconds and then slowly plunge with only the weight of your hand. Tip: For milder Americano-style coffee, add more water. Otherwise, you’ll have a nice stiff brew. For the extra-light traveler, you can dispense with the burr grinder and simply bring along pre-ground coffee. However, ground beans lose flavor with every passing hour (let alone day) of travel. If you go this route, be sure to carry your grounds in an airtight container to preserve them as well as possible. As you can see, we find the AeroPress system to be the best bet for travel. It’s light and compact, and it strikes a good balance between convenience and quality.